If escaping the daily grind for a mix of debauchery and pampering ranks high on your to-do list, then you need a destination. The perfect playground exudes modern luxury and encourages a bit of naughtiness. It has discreet staff so skilled, they predict your every need before you think it. And it comes with a view money cannot buy. 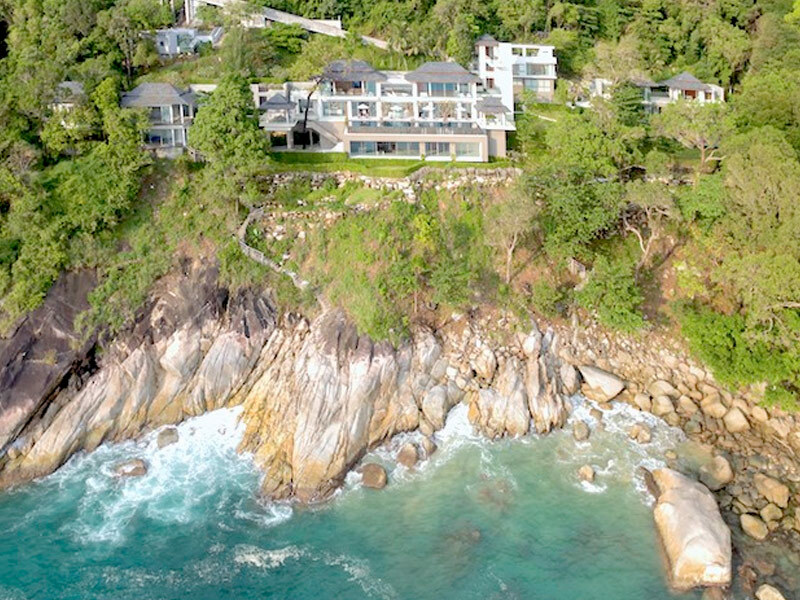 The Aquila is Phuket’s multi-talented new kid on the block, a 10,000 sq metre private villa on the island’s Millionaire’s Mile. It’s hard to describe it; the first thing that comes to mind is ‘what happens at The Aquila stays at The Aquila,’ like Vegas but without the seedy underbelly. This gorgeous seven-bedroom estate is ensconced along 165 metres of coastline, surrounded by rugged terrain and coral reefs below. It’s the place for a soirée that never needs to sleep. And no one outside your enclave need ever be the wiser. The Aquila is spread across four pavilions on three levels and showcases a 30-metre infinity pool at the heart of it all, a divine vantage point for soaking in the sunset or a star-lit swim. There’s a spa, three capacious lounges, a formal dining room, and a gym with vistas of the sea. Oh, and a party pad with wraparound bar, an awesome sound system, billiards, a gaming zone, chillout space, and floor-to-ceiling glass doors that open onto the stars.